July | 2013 | Syed Jahanzaib Personal Blog to Share Knowledge ! 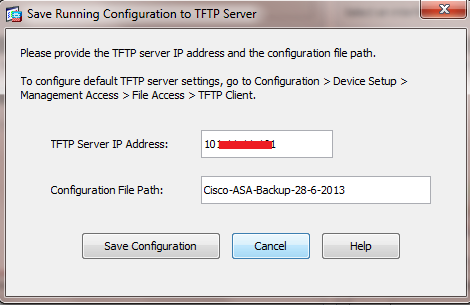 This is a small howto on backup your CISCO ASA 5510 config via ASDM & TFTP running on your windows pc. (Its a small utility) and can be installed on any version of windows you are running. Installation is traditionally simple by clicking on Next button. 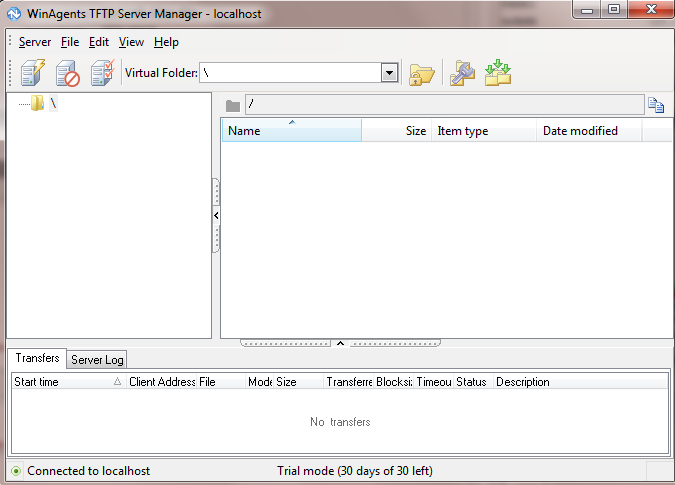 5- Type TFTP Server IP Address (where the tftp software is installed. 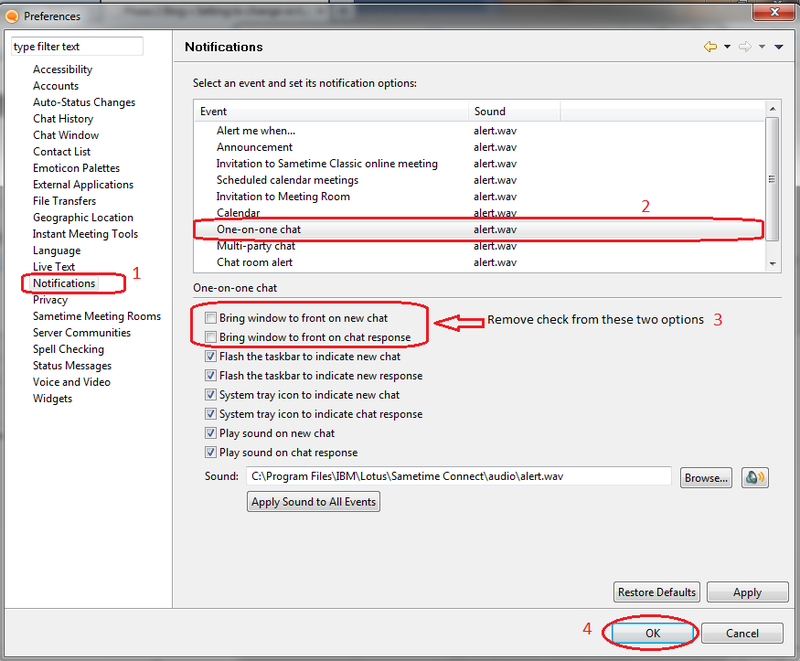 and in Configuration File Path, Type the File name and click on SAVE CONFIGURATION. ► As showed in the images below . . .